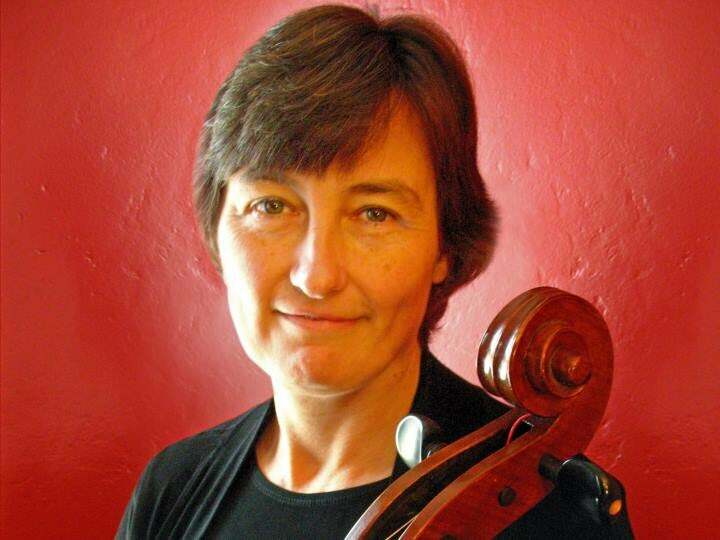 A versatile and enterprising cellist dedicated to musical outreach, FRANCES ROWELL received bachelor’s and master’s degrees from The Juilliard School. She taught cello at Muhlenberg College for 12 years and is currently on the adjunct faculty of New Jersey City University and Montclair State University. An inventor as well as a cellist, she received a United States Patent for a portable endpin resonating platform for the cello. In 1992, the city of Allentown, PA, bestowed on Rowell its Arts Ovation Award for outstanding achievement in the performing arts. 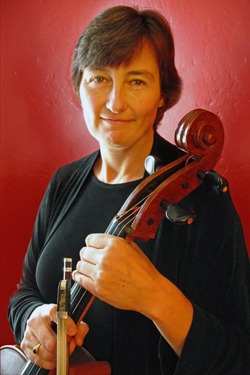 She has premiered several cello works written for her, including Gwyneth Walker’s North Country Concerto with the Pennsylvania Sinfonia Orchestra in 1995 and Douglas Oven’s Concerto for Cello with the Allentown Symphony Orchestra in 1996. Rowell has been a member of the New Jersey Symphony Orchestra since 1995. As a member of the Craftsbury Chamber Players, she performs chamber music each summer in her home state of Vermont. Rowell is a past coordinator of the NJSO’s REACH (Resources for Education and Community Harmony) Program. She is currently on the roster of Young Audiences of New Jersey in a string quartet program. She has also served young audiences as a teaching artist, working with young soloists from the radio program “From the Top” in presentations in public schools. Rowell served as President of the American String Teachers Association New Jersey chapter from 2008–10.